1LT93ES Ноутбук HP 250 (1LT93ES) 15.6', HD (1366 х 768), Intel Pentium N3710 (1.6 - 2.56 ГГц), 8 ГБ, 1 ТБ, Intel HD, No ODD, Bluetooth, Wi-Fi, Gigabit Ethernet, DOS, 3 cell, 2.0 кг, Black 12 мес. 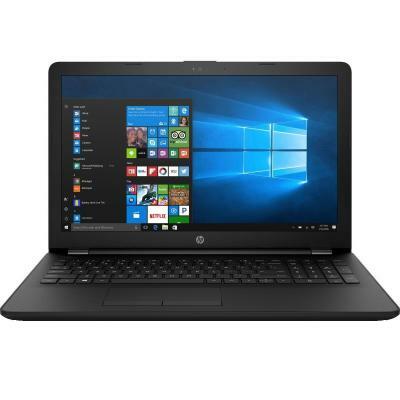 1LT97ES Ноутбук HP 250 (1LT97ES) 15.6', HD (1366 х 768), Intel Pentium N3710 (1.6 - 2.56 ГГц), 4 ГБ, отсутствует, 128 ГБ, Intel HD, No ODD, Bluetooth, Wi-Fi, Gigabit Ethernet, DOS, 3 cell, 2.0 кг, Black 12 мес. 1LU00ES Ноутбук HP 250 (1LU00ES) 15.6', HD (1366 х 768), Intel Pentium N3710 (1.6 - 2.56 ГГц), 8 ГБ, отсутствует, 128 ГБ, Intel HD, No ODD, Bluetooth, Wi-Fi, Gigabit Ethernet, DOS, 3 cell, 2.0 кг, Black 12 мес. 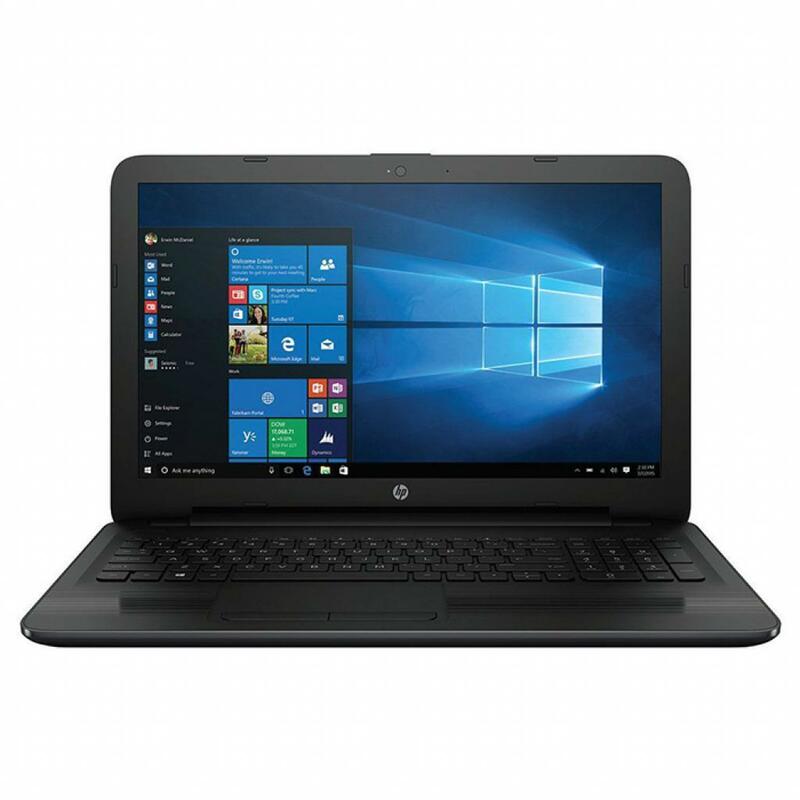 2EV85ES Ноутбук HP 250 (2EV85ES) 15.6', HD (1366 х 768), Intel Pentium N3710 (1.6 - 2.56 ГГц), 4 ГБ, 500 ГБ, Intel HD Graphics, DVD±RW, Bluetooth, Wi-Fi, Gigabit Ethernet, Windows 10 Pro 64bit, 3 cell, 1.9 кг, Black 12 мес. 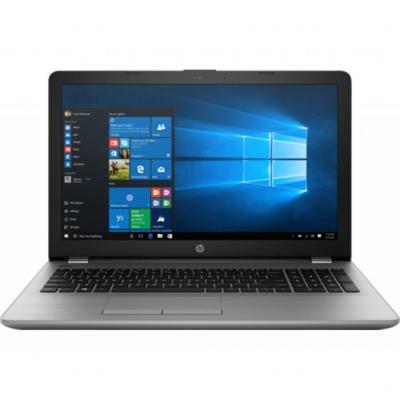 2ME05EA Ноутбук HP 17-bs047ur (2ME05EA) 17.3', FullHD (1920 х 1080), IPS, Intel Pentium N3710 (1.6 - 2.56 ГГц), 4 ГБ, 1 ТБ, AMD Radeon 520, 2 ГБ, DVD±RW, Bluetooth, Wi-Fi, Gigabit Ethernet, Windows 10 Home 64bit, 4 cell, 2.6 кг, Black 12 мес. 2NP85EA Ноутбук HP 15-bs578ur (2NP85EA) 15.6', FullHD (1920 х 1080), Intel Pentium N3710 (1.6 - 2.56 ГГц), 4 ГБ, 1 ТБ, Intel HD Graphics, No ODD, Bluetooth, Wi-Fi, LAN (RJ-45), Windows 10 Home, 4 cell, 2.1 кг, Black 12 мес. 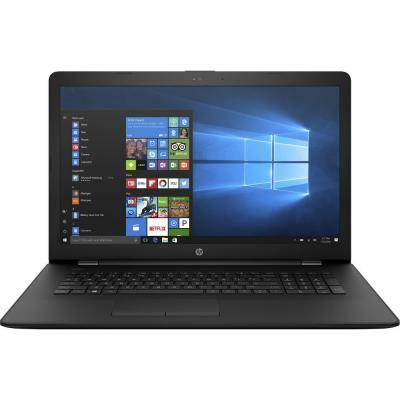 2VP96ES Ноутбук HP 250 G6 (2VP96ES) 15.6', FullHD (1920 х 1080), Intel Pentium N4200 (up to 2.5 ГГц), 4 ГБ, отсутствует, 128 ГБ, Intel HD Graphics, DVD±RW, Bluetooth, Wi-Fi, LAN (RJ-45), DOS, 3 cell, 1.86 кг, Silver 12 мес. 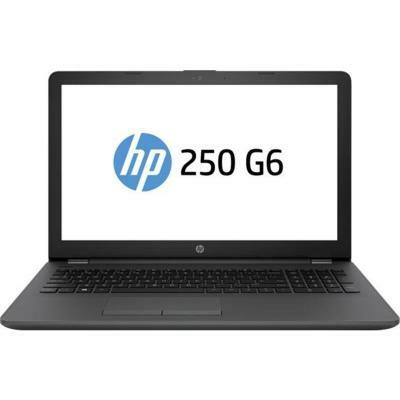 2XY40ES Ноутбук HP 250 G6 (2XY40ES) 15.6', HD (1366 х 768), Intel Pentium N4200 (up to 2.5 ГГц), 8 ГБ, отсутствует, 128 ГБ, Intel HD Graphics, DVD±RW, Bluetooth, Wi-Fi, LAN (RJ-45), DOS, 3 cell, 1.86 кг, Silver 12 мес. 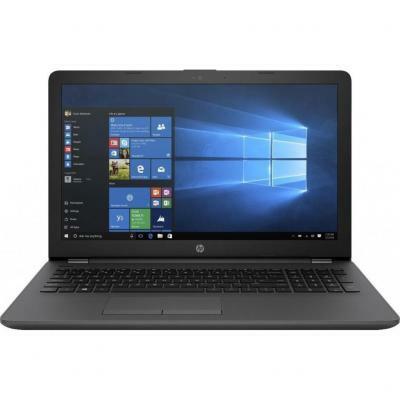 2XY83ES Ноутбук HP 250 G6 (2XY83ES) 15.6', HD (1366 х 768), SVA, Intel Pentium N4200 (up to 2.5 ГГц), 4 ГБ, 500 ГБ, Intel HD Graphics, н.д., Bluetooth, Wi-Fi, Gigabit Ethernet, Windows 10 Home, 3 cell, 1.96 кг, Silver 12 мес. 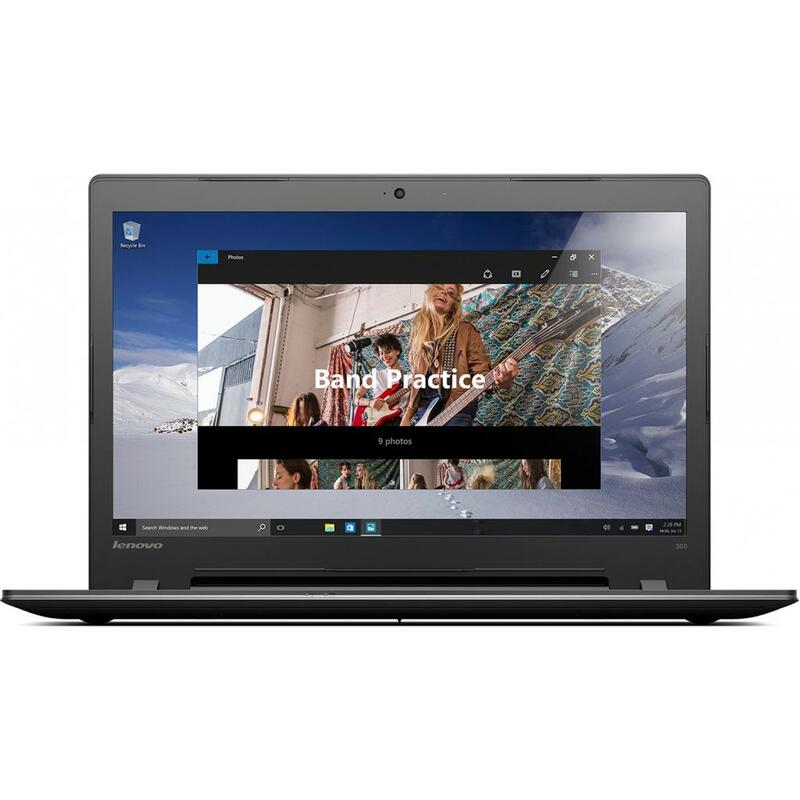 Ноутбук Lenovo ThinkPad Edge E530 Black (3259C81) Intel Pentium 2020M-2.4/4.0Gb/500Gb/DVD+RW/15.6” HD LED/GF GT 635M 2.0Gb/LAN/WiFi/BT/WC/CR/DOS/2.5 кг 12 мес. 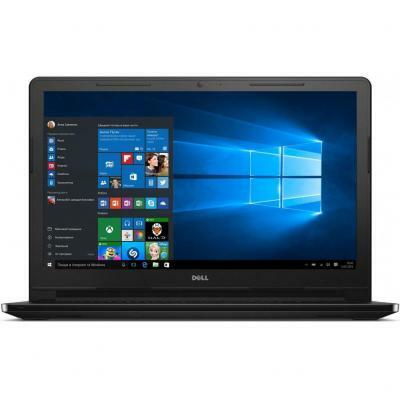 35P374H5IHD-LBK Ноутбук Dell Inspiron 3552 (35P374H5IHD-LBK) 15.6', HD (1366 х 768), Intel Pentium N3710 (1.6 - 2.56 ГГц), 4 ГБ, 500 ГБ, Intel HD Graphics, DVD±RW, Bluetooth, Wi-Fi, Linux, 4 cell, 2.2 кг, Black 12 мес. 3DP03ES Ноутбук HP 250 G6 (3DP03ES) 15.6', FullHD (1920 х 1080), Intel Pentium N4200 (up to 2.5 ГГц), 4 ГБ, 500 ГБ, Intel HD Graphics, No ODD, Bluetooth, Wi-Fi, LAN (RJ-45), DOS, 3 cell, 1.86 кг, Dark Ash Silver 12 мес. 3DP05ES Ноутбук HP 250 G6 (3DP05ES) 15.6', FullHD (1920 х 1080), SVA, Intel Pentium N4200 (up to 2.5 ГГц), 8 ГБ, 1 ТБ, Intel HD Graphics, н.д., Bluetooth, Wi-Fi, LAN (RJ-45), DOS, 3 cell, 1.86 кг, Black 12 мес. 3DP06ES Ноутбук HP 250 G6 (3DP06ES) 15.6', FullHD (1920 х 1080), Intel Pentium N4200 (up to 2.5 ГГц), 4 ГБ, отсутствует, 128 ГБ, Intel HD Graphics, No ODD, Bluetooth, Wi-Fi, LAN (RJ-45), DOS, 3 cell, 1.86 кг, Black 12 мес. 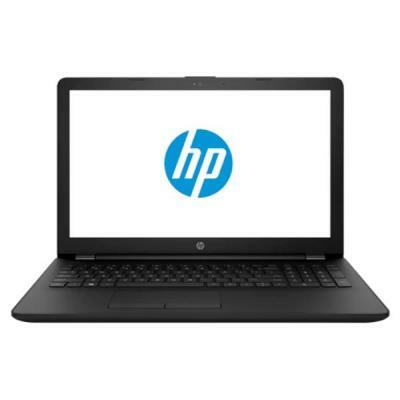 3FY43EA Ноутбук HP 15-ra022ur (3FY43EA) 15.6', HD (1366 х 768), Intel Pentium N3710 (1.6 - 2.56 ГГц), 4 ГБ, 500 ГБ, Intel HD Graphics, No ODD, Bluetooth, Wi-Fi, LAN (RJ-45), DOS, 3 cell, 2.2 кг, Black 12 мес. 3QM18ES Ноутбук HP 250 G6 (3QM18ES) 15.6', HD (1366 х 768), SVA, Intel Pentium N4200 (up to 2.5 ГГц), 4 ГБ, отсутствует, 128 ГБ, Intel HD Graphics, н.д., Bluetooth, Wi-Fi, Gigabit Ethernet, DOS, 3 cell, 1.86 кг, Black 12 мес. 3QM19ES Ноутбук HP 250 G6 (3QM19ES) 15.6', HD (1366 х 768), SVA, Intel Pentium N4200 (up to 2.5 ГГц), 4 ГБ, 500 ГБ, Intel HD Graphics, н.д., Bluetooth, Wi-Fi, Gigabit Ethernet, DOS, 3 cell, 1.86 кг, Black 12 мес. 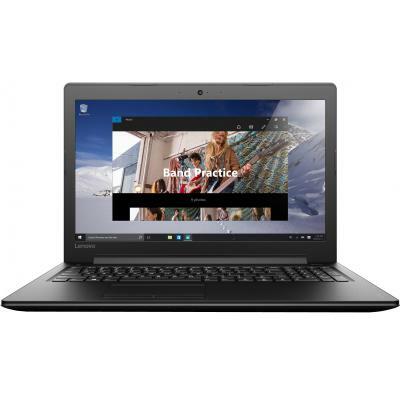 Lenovo IdeaPad G700A Black (59-391958) 17.3" HD+ LED/Pentium 2020M/4GB/500GB/GF GT 720M/DVD SM/Wi-Fi/BT/WCam/DOS/2.9kg 12 мес. Ноутбук Lenovo IdeaPad G700A Black (59-391962) Intel Pentium 2020M-2.4/4.0 Gb/1.0Tb/DVD-RW/17.3" HD+ LED/GF GT 720M 1.0Gb/LAN/WiFi/BT/WC/CR/DOS/2.9 кг. 12 мес. Ноутбук Lenovo IdeaPad G500A (Intel Pentium 2020M (2.4GHz), HM70, 2GB DDR3 1600MHz, 500GB SATA, AMD Radeon 8570 1GB, DVD Super Multi, 15.6" LED, VGA, HDMI, LAN, WiFi b/g/n, BT, WC 0,3Mp, CR2-in-1, 2xUSB3.0, 1xUSB2.0, Free DOS, Li-Ion (6 cell), 2.6kg, Black)(59-391963) мес. Ноутбук Lenovo IdeaPad G500A Black (59-391964) Intel Pentium 2020M-2.4/4.0 Gb/1.0Tb/DVD-RW/15.6" HD LED/AMD HD 8570M 1.0Gb/LAN/WiFi/BT/WC/CR/DOS/2.6 кг. 12 мес. 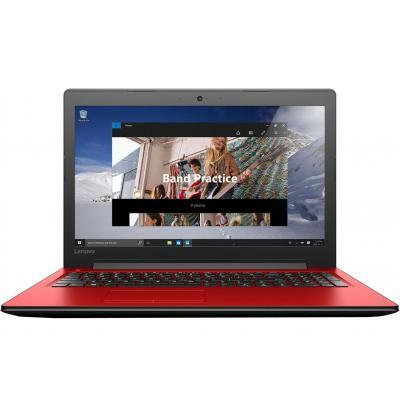 Ноутбук Lenovo IdeaPad G500A (Intel Pentium 2020M (2.4GHz), HM70, 4GB DDR3 1600MHz, 500GB SATA, AMD Radeon 8570 2GB, DVD Super Multi, 15.6" LED, VGA, HDMI, LAN, WiFi b/g/n, BT, WC 0,3Mp, CR2-in-1, 2xUSB3.0, 1xUSB2.0, Free DOS, Li-Ion (6 cell), 2.6kg, Black) (59-392749) мес. 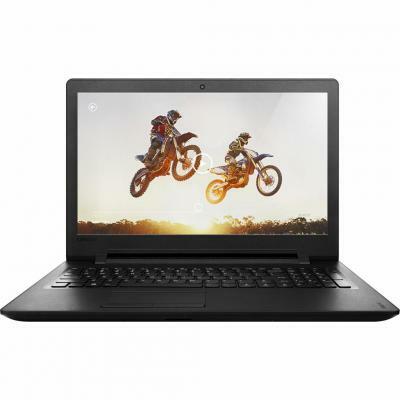 Ноутбук Lenovo IdeaPad G500s Black (59-408540) Intel Pentium 2020M-2.4/4.0Gb/1.0Tb/DVD-RW/15.6” HD LED/GF GT 720M 1.0Gb/LAN/WiFi/BT/WC/CR/DOS/2.5 кг. 12 мес. 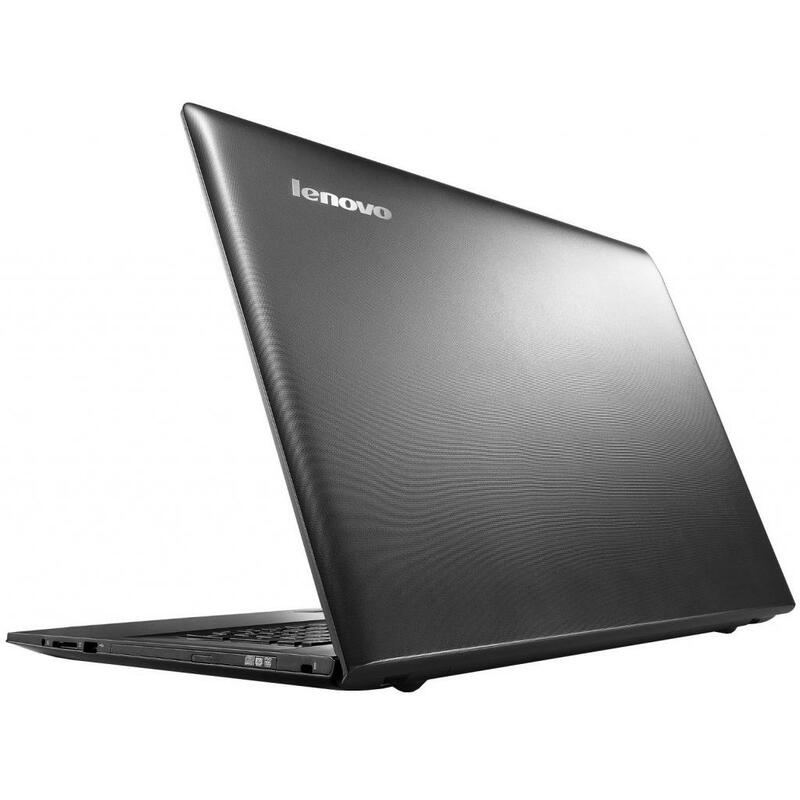 80FF00DCUA Ноутбук Lenovo IdeaPad G70-80 (80FF00DCUA) 17.3', HD+ (1600 x 900), TN+film, Intel Pentium 3825U (1.9 ГГц), 4 ГБ, 500 ГБ, NVIDIA GeForce 920M, 2 ГБ, No ODD, Bluetooth, Wi-Fi, Gigabit Ethernet, DOS, 4 cell, 3 кг, Black 12 мес. 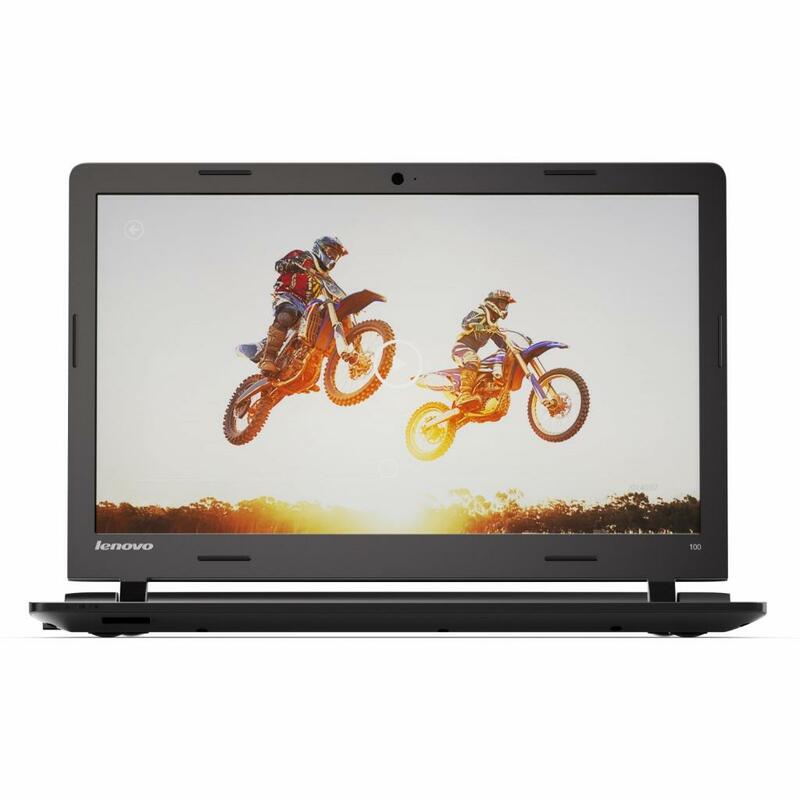 80FF00DDUA Ноутбук Lenovo IdeaPad G70-80 (80FF00DDUA) 17.3', HD+ (1600 x 900), TN+film, Intel Pentium 3825U (1.9 ГГц), 4 ГБ, 1 ТБ, NVIDIA GeForce 920M, 2 ГБ, No ODD, Bluetooth, Wi-Fi, Gigabit Ethernet, DOS, 4 cell, 2.9 кг, Black 12 мес. 80FF00NFUA Ноутбук Lenovo IdeaPad G70-80 (80FF00NFUA) 17.3', HD+ (1600 x 900), Intel Pentium 3825U (1.9 ГГц), 4 ГБ, 500 ГБ, NVIDIA GeForce 920M, 2 ГБ, No ODD, Bluetooth, Wi-Fi, Gigabit Ethernet, DOS, 4 cell, 2.9 кг, Black 12 мес. 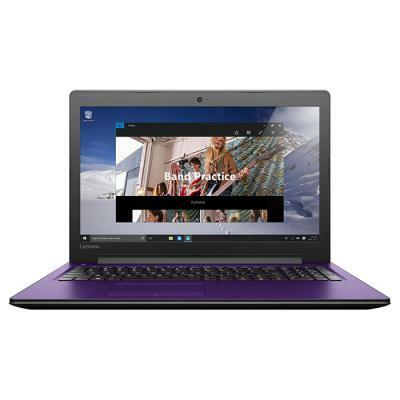 80MJ0041UA Ноутбук Lenovo IdeaPad 100 (80MJ0041UA) 15.6', HD (1366 х 768), TN+film, Intel Pentium N3540 (2.16 ГГц), 4 ГБ, 500 ГБ, Intel HD, No ODD, Wi-Fi, LAN (RJ-45), DOS, 3 cell, 2.3 кг, Black 12 мес. 80QH00F3RA Ноутбук Lenovo IdeaPad 300-17 (80QH00F3RA) 17.3', HD+ (1600 x 900), TN+film, Intel Pentium 4405U (2.1 ГГц), 4 ГБ, 1 ТБ, Intel HD, No ODD, Bluetooth, Wi-Fi, Gigabit Ethernet, DOS, 4 cell, 3 кг, Black 12 мес. 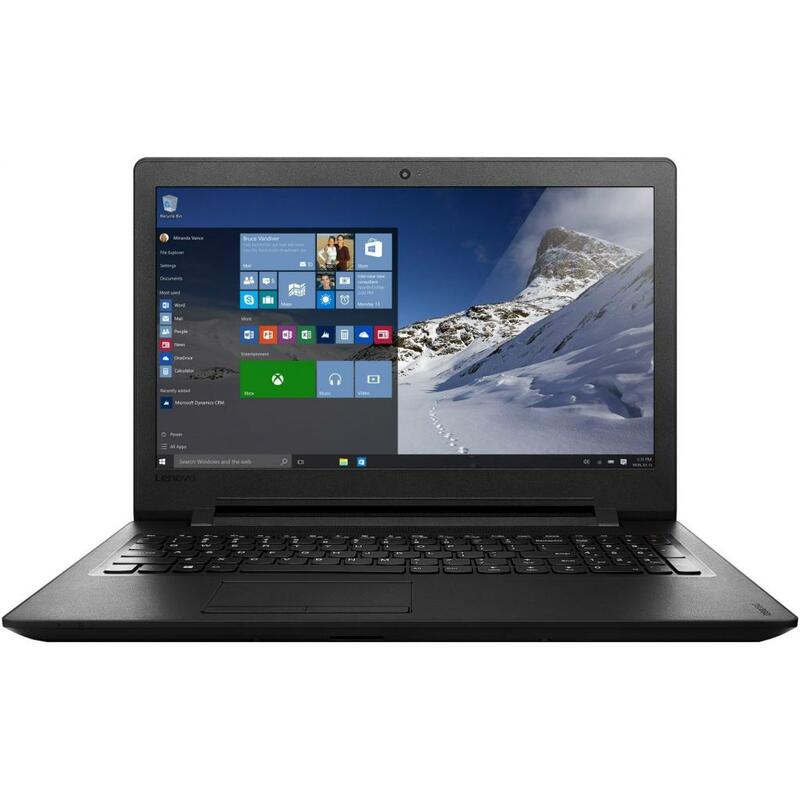 80QQ0197UA Ноутбук Lenovo IdeaPad 100 (80QQ0197UA) 15.6', HD (1366 х 768), TN+film, Intel Pentium 3825U (1.9 ГГц), 4 ГБ, 500 ГБ, NVIDIA GeForce 920MX, 2 ГБ, No ODD, Bluetooth, Wi-Fi, LAN (RJ-45), DOS, 2.3 кг, Black 12 мес. 80T70034RA Ноутбук Lenovo IdeaPad 110-15 (80T70034RA) 15.6', HD (1366 х 768), TN+film, Intel Pentium N3710 (1.6 - 2.56 ГГц), 4 ГБ, отсутствует, 128 ГБ, Intel HD, No ODD, Bluetooth, Wi-Fi, LAN (RJ-45), DOS, 3 cell, 2.2 кг, Black 12 мес. 80T70036RA Ноутбук Lenovo IdeaPad 110-15 (80T70036RA) 15.6', HD (1366 х 768), TN+film, Intel Pentium N3710 (1.6 - 2.56 ГГц), 4 ГБ, 500 ГБ, Intel HD Graphics, No ODD, Bluetooth, Wi-Fi, LAN (RJ-45), DOS, 3 cell, 2.2 кг, Black 12 мес. 80T7004QRA Ноутбук Lenovo IdeaPad 110-15 (80T7004QRA) 15.6', HD (1366 х 768), TN+film, Intel Pentium N3710 (1.6 - 2.56 ГГц), 4 ГБ, 500 ГБ, Intel HD, No ODD, Bluetooth, Wi-Fi, LAN (RJ-45), DOS, 3 cell, 2.2 кг, Black 12 мес. 80T7004RRA Ноутбук Lenovo IdeaPad 110-15 (80T7004RRA) 15.6', HD (1366 х 768), TN+film, Intel Pentium N3710 (1.6 - 2.56 ГГц), 4 ГБ, 1 ТБ, Intel HD, No ODD, Bluetooth, Wi-Fi, LAN (RJ-45), DOS, 3 cell, 2.2 кг, Black 12 мес. 80T70085RA Ноутбук Lenovo IdeaPad 110-15 (80T70085RA) 15.6', HD (1366 х 768), TN+film, Intel Pentium N3710 (1.6 - 2.56 ГГц), 4 ГБ, 500 ГБ, Intel HD, No ODD, Bluetooth, Wi-Fi, Windows 10 Home, 3 cell, 2.2 кг, Black 12 мес. 80TG00AGRK Ноутбук Lenovo V110 (80TG00AGRK) 15.6', HD (1366 х 768), Intel Pentium N4200 (up to 2.5 ГГц), 4 ГБ, 500 ГБ, Intel HD Graphics, DVD±RW, Bluetooth, Wi-Fi, LAN (RJ-45), DOS, 3 cell, 1.9 кг, Black 12 мес. 80TG00AJRK Ноутбук Lenovo V110 (80TG00AJRK) 15.6', HD (1366 х 768), Intel Pentium N4200 (up to 2.5 ГГц), 4 ГБ, отсутствует, 128 ГБ, Intel HD Graphics, DVD±RW, Bluetooth, Wi-Fi, Gigabit Ethernet, DOS, 3 cell, 1.9 кг, Black 12 мес. 80TG00BDRK Ноутбук Lenovo V110 (80TG00BDRK) 15.6', HD (1366 х 768), Intel Pentium N4200 (up to 2.5 ГГц), 4 ГБ, 500 ГБ, Intel HD Graphics, н.д., Bluetooth, Wi-Fi, Gigabit Ethernet, DOS, 3 cell, 1.9 кг, Black 12 мес. 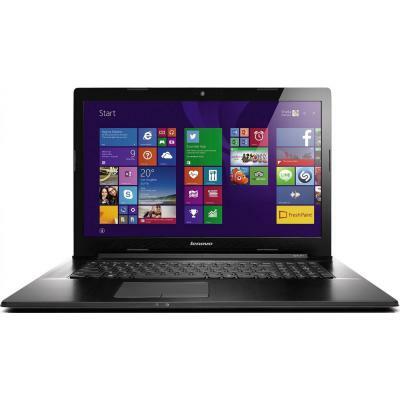 80TG00D1RA Ноутбук Lenovo IdeaPad V110 (80TG00D1RA) 15.6', HD (1366 х 768), TN+film, Intel Pentium N4200 (up to 2.5 ГГц), 4 ГБ, 500 ГБ, Intel HD Graphics, DVD±RW, Bluetooth, Wi-Fi, Gigabit Ethernet, DOS, 3 cell, 1.9 кг, Black 12 мес. 80TH001FRK Ноутбук Lenovo V110 (80TH001FRK) 15.6', HD (1366 х 768), TN+film, Intel Pentium 4415U (2.3 ГГц), 8 ГБ, отсутствует, 128 ГБ, Intel HD Graphics, DVD±RW, Bluetooth, Wi-Fi, LAN (RJ-45), DOS, 4 cell, 1.9 кг, Black 12 мес. 80TT001SRA Ноутбук Lenovo IdeaPad 310-15 (80TT001SRA) 15.6', HD (1366 х 768), TN+film, Intel Pentium N4200 (up to 2.5 ГГц), 4 ГБ, 500 ГБ, Intel HD, No ODD, Bluetooth, Wi-Fi, Gigabit Ethernet, DOS, 2 cell, 2.2 кг, Black 12 мес. 80TT001VRA Ноутбук Lenovo IdeaPad 310-15 (80TT001VRA) 15.6', HD (1366 х 768), TN+film, Intel Pentium N4200 (up to 2.5 ГГц), 4 ГБ, 1 ТБ, AMD Radeon R5 M430, 2 ГБ, No ODD, Bluetooth, Wi-Fi, LAN (RJ-45), DOS, 2 cell, 2.2 кг, Black 12 мес. 80TT001XRA Ноутбук Lenovo IdeaPad 310-15 (80TT001XRA) 15.6', HD (1366 х 768), TN+film, Intel Pentium N4200 (up to 2.5 ГГц), 4 ГБ, 500 ГБ, Intel HD, No ODD, Bluetooth, Wi-Fi, Gigabit Ethernet, DOS, 2 cell, 2.2 кг, Silver 12 мес. 80TT001YRA Ноутбук Lenovo IdeaPad 310-15 (80TT001YRA) 15.6', HD (1366 х 768), Intel Pentium N4200 (up to 2.5 ГГц), 4 ГБ, 500 ГБ, Intel HD, No ODD, Bluetooth, Wi-Fi, LAN (RJ-45), Windows 10 Home, 2 cell, 2.2 кг, Silver 12 мес. 80TT0026RA Ноутбук Lenovo IdeaPad 310-15 (80TT0026RA) 15.6', HD (1366 х 768), TN+film, Intel Pentium N4200 (up to 2.5 ГГц), 4 ГБ, 1 ТБ, Intel HD, No ODD, Bluetooth, Wi-Fi, Gigabit Ethernet, DOS, 2 cell, 2.2 кг, Red 12 мес. 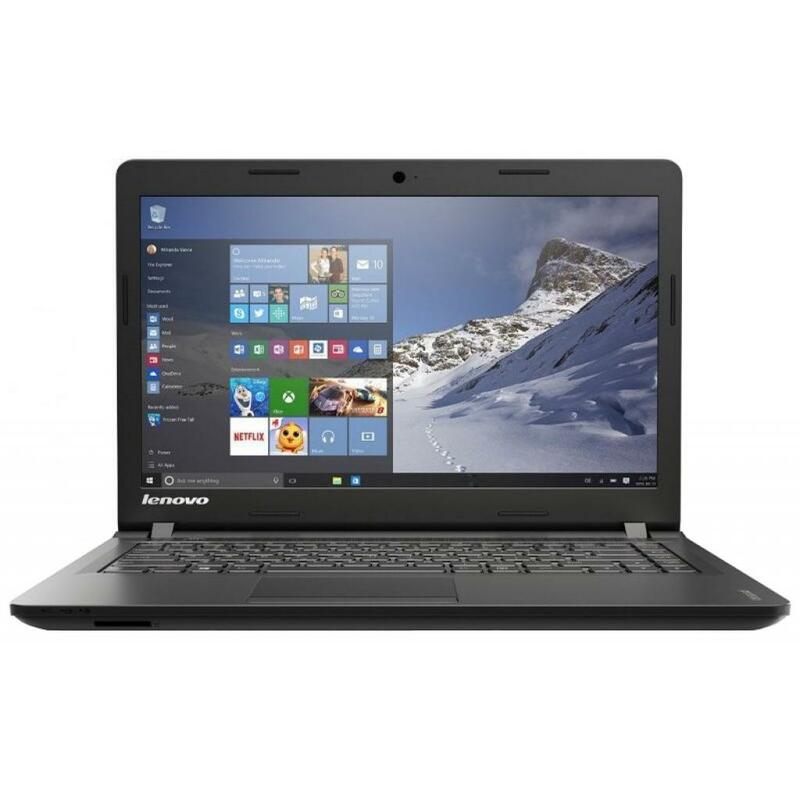 80TT002GRA Ноутбук Lenovo IdeaPad 310-15 (80TT002GRA) 15.6', HD (1366 х 768), TN+film, Intel Pentium N4200 (up to 2.5 ГГц), 4 ГБ, 500 ГБ, Intel HD, No ODD, Bluetooth, Wi-Fi, Gigabit Ethernet, DOS, 2 cell, 2.2 кг, Violet 12 мес. 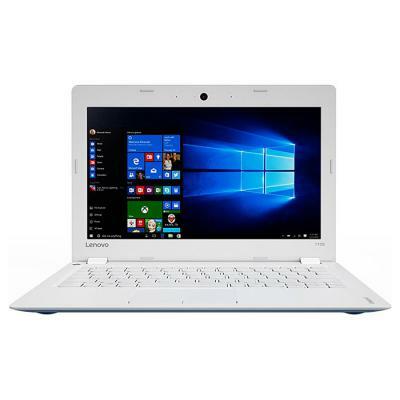 80TT004JRA Ноутбук Lenovo IdeaPad 310-15 (80TT004JRA) 15.6', FullHD (1920 х 1080), TN+film, Intel Pentium N4200 (up to 2.5 ГГц), 8 ГБ, 1 ТБ, Intel HD, No ODD, Bluetooth, Wi-Fi, Gigabit Ethernet, DOS, 2 cell, 2.2 кг, Violet 12 мес. 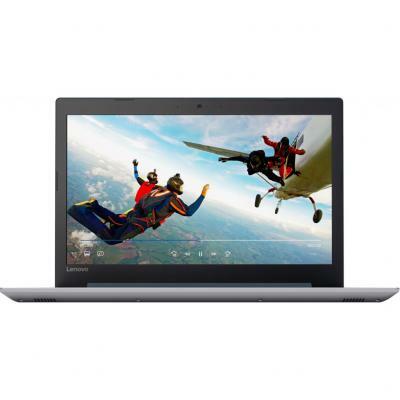 80TT004KRA Ноутбук Lenovo IdeaPad 310-15 (80TT004KRA) 15.6', FullHD (1920 х 1080), TN+film, Intel Pentium N4200 (up to 2.5 ГГц), 8 ГБ, 1 ТБ, Intel HD, No ODD, Bluetooth, Wi-Fi, Gigabit Ethernet, DOS, 2 cell, 2.2 кг, White 12 мес. 80TT004LRA Ноутбук Lenovo IdeaPad 310-15 (80TT004LRA) 15.6', FullHD (1920 х 1080), TN+film, Intel Pentium N4200 (up to 2.5 ГГц), 8 ГБ, 1 ТБ, Intel HD, No ODD, Bluetooth, Wi-Fi, Gigabit Ethernet, DOS, 2 cell, 2.2 кг, Red 12 мес. 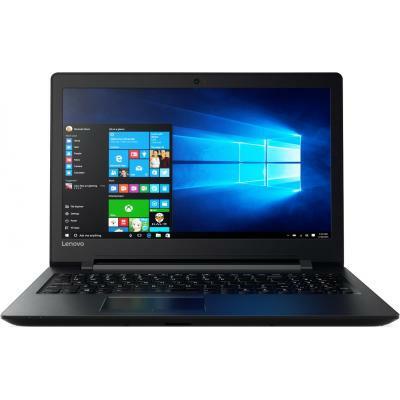 80TT004MRA Ноутбук Lenovo IdeaPad 310-15 (80TT004MRA) 15.6', FullHD (1920 х 1080), TN+film, Intel Pentium N4200 (up to 2.5 ГГц), 8 ГБ, 1 ТБ, Intel HD, No ODD, Bluetooth, Wi-Fi, Gigabit Ethernet, DOS, 2 cell, 2.2 кг, Silver 12 мес. 80TT004NRA Ноутбук Lenovo IdeaPad 310-15 (80TT004NRA) 15.6', FullHD (1920 х 1080), TN+film, Intel Pentium N4200 (up to 2.5 ГГц), 8 ГБ, 1 ТБ, Intel HD, No ODD, Bluetooth, Wi-Fi, Gigabit Ethernet, DOS, 2 cell, 2.2 кг, Black 12 мес. 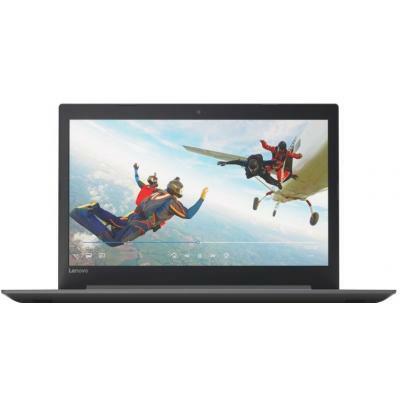 80TT004SRA Ноутбук Lenovo IdeaPad 310-15 (80TT004SRA) 15.6', FullHD (1920 х 1080), TN+film, Intel Pentium N4200 (up to 2.5 ГГц), 4 ГБ, отсутствует, 128 ГБ, Intel HD, No ODD, Bluetooth, Wi-Fi, Gigabit Ethernet, DOS, 2 cell, 2.2 кг, Silver 12 мес. 80TT004TRA Ноутбук Lenovo IdeaPad 310-15 (80TT004TRA) 15.6', FullHD (1920 х 1080), TN+film, Intel Pentium N4200 (up to 2.5 ГГц), 4 ГБ, отсутствует, 128 ГБ, Intel HD, No ODD, Bluetooth, Wi-Fi, Gigabit Ethernet, DOS, 2 cell, 2.2 кг, Black 12 мес. 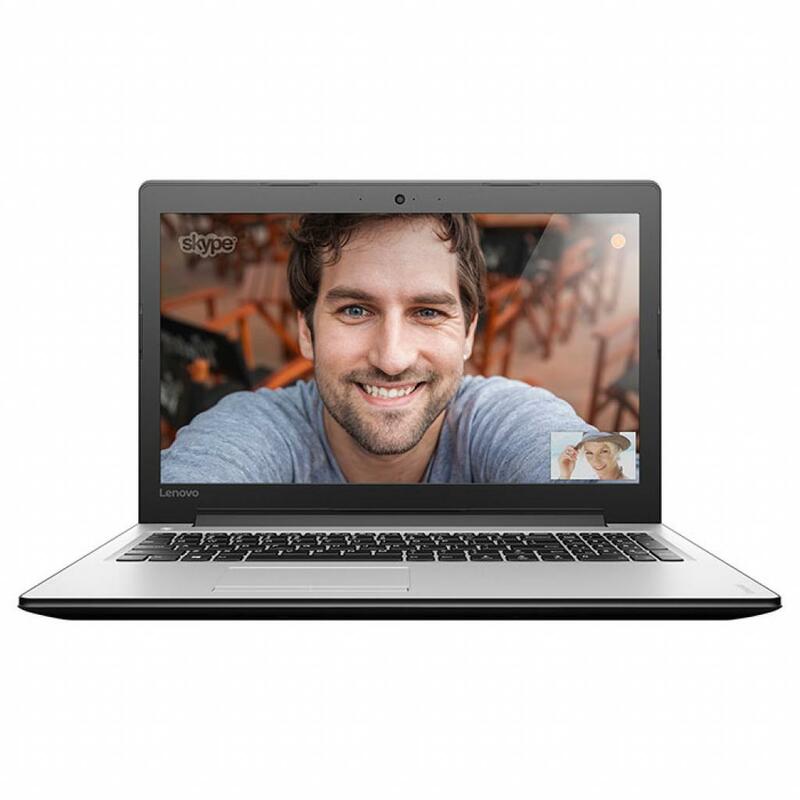 80TT0050RA Ноутбук Lenovo IdeaPad 310-15 (80TT0050RA) 15.6', FullHD (1920 х 1080), TN+film, Intel Pentium N4200 (up to 2.5 ГГц), 8 ГБ, отсутствует, 256 ГБ, Intel HD, No ODD, Bluetooth, Wi-Fi, Gigabit Ethernet, DOS, 2 cell, 2.2 кг, Violet 12 мес. 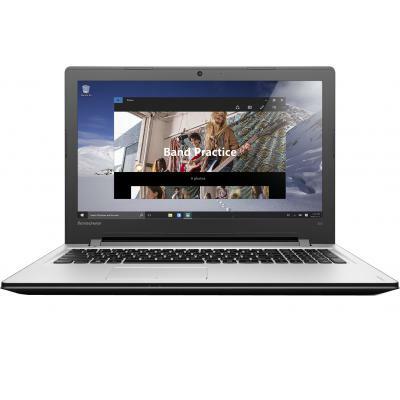 80TT0051RA Ноутбук Lenovo IdeaPad 310-15 (80TT0051RA) 15.6', FullHD (1920 х 1080), TN+film, Intel Pentium N4200 (up to 2.5 ГГц), 8 ГБ, отсутствует, 256 ГБ, Intel HD, No ODD, Bluetooth, Wi-Fi, LAN (RJ-45), DOS, 2 cell, 2.2 кг, White 12 мес. 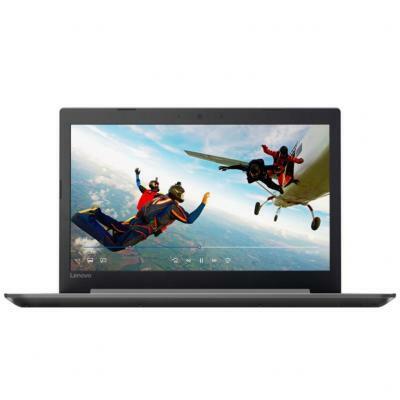 80TT0052RA Ноутбук Lenovo IdeaPad 310-15 (80TT0052RA) 15.6', FullHD (1920 х 1080), TN+film, Intel Pentium N4200 (up to 2.5 ГГц), 8 ГБ, отсутствует, 256 ГБ, Intel HD, No ODD, Bluetooth, Wi-Fi, Gigabit Ethernet, DOS, 2 cell, 2.2 кг, Red 12 мес. 80TT0053RA Ноутбук Lenovo IdeaPad 310-15 (80TT0053RA) 15.6', FullHD (1920 х 1080), TN+film, Intel Pentium N4200 (up to 2.5 ГГц), 8 ГБ, отсутствует, 256 ГБ, Intel HD, No ODD, Bluetooth, Wi-Fi, Gigabit Ethernet, DOS, 2 cell, 2.2 кг, Silver 12 мес. 80TT0054RA Ноутбук Lenovo IdeaPad 310-15IAP (80TT0054RA) 15.6', FullHD (1920 х 1080), TN+film, Intel Pentium N4200 (up to 2.5 ГГц), 8 ГБ, отсутствует, 256 ГБ, Intel HD, No ODD, Bluetooth, Wi-Fi, LAN (RJ-45), DOS, 2 cell, 2.2 кг, Black 12 мес. 80TT008NRA Ноутбук Lenovo IdeaPad 310-15 (80TT008NRA) 15.6', FullHD (1920 х 1080), TN+film, Intel Pentium N4200 (up to 2.5 ГГц), 4 ГБ, 500 ГБ, Intel HD, No ODD, Bluetooth, Wi-Fi, Gigabit Ethernet, DOS, 2 cell, 2.2 кг, Black 12 мес. 80TT008PRA Ноутбук Lenovo IdeaPad 310-15 (80TT008PRA) 15.6', FullHD (1920 х 1080), Intel Pentium N4200 (up to 2.5 ГГц), 4 ГБ, 500 ГБ, Intel HD, No ODD, Bluetooth, Wi-Fi, LAN (RJ-45), DOS, 2 cell, 2.2 кг, Silver 12 мес. 80TT008QRA Ноутбук Lenovo IdeaPad 310-15 (80TT008QRA) 15.6', FullHD (1920 х 1080), TN+film, Intel Pentium N4200 (up to 2.5 ГГц), 4 ГБ, 500 ГБ, Intel HD, No ODD, Bluetooth, Wi-Fi, Gigabit Ethernet, DOS, 2 cell, 2.2 кг, Red 12 мес. 80TT008RRA Ноутбук Lenovo IdeaPad 310-15 (80TT008RRA) 15.6', FullHD (1920 х 1080), TN+film, Intel Pentium N4200 (up to 2.5 ГГц), 4 ГБ, 500 ГБ, Intel HD, No ODD, Bluetooth, Wi-Fi, Gigabit Ethernet, DOS, 2 cell, 2.2 кг, Violet 12 мес. 80TT008SRA Ноутбук Lenovo IdeaPad 310-15 (80TT008SRA) 15.6', FullHD (1920 х 1080), TN+film, Intel Pentium N4200 (up to 2.5 ГГц), 4 ГБ, 500 ГБ, Intel HD, No ODD, Bluetooth, Wi-Fi, Gigabit Ethernet, DOS, 2 cell, 2.2 кг, White 12 мес. 80TT008YRA Ноутбук Lenovo IdeaPad 310-15 (80TT008YRA) 15.6', FullHD (1920 х 1080), TN+film, Intel Pentium N4200 (up to 2.5 ГГц), 8 ГБ, отсутствует, 128 ГБ, Intel HD, No ODD, Bluetooth, Wi-Fi, Gigabit Ethernet, DOS, 2 cell, 2.2 кг, Black 12 мес. 80TT0090RA Ноутбук Lenovo IdeaPad 310-15 (80TT0090RA) 15.6', FullHD (1920 х 1080), TN+film, Intel Pentium N4200 (up to 2.5 ГГц), 8 ГБ, отсутствует, 128 ГБ, Intel HD, No ODD, Bluetooth, Wi-Fi, Gigabit Ethernet, DOS, 2 cell, 2.2 кг, Silver 12 мес. 80TT009BRA Ноутбук Lenovo IdeaPad 310-15 (80TT009BRA) 15.6', FullHD (1920 х 1080), TN+film, Intel Pentium N4200 (up to 2.5 ГГц), 4 ГБ, 1 ТБ, Intel HD, No ODD, Bluetooth, Wi-Fi, Gigabit Ethernet, DOS, 2 cell, 2.2 кг, Black 12 мес. 80TT009CRA Ноутбук Lenovo IdeaPad 310-15 (80TT009CRA) 15.6', FullHD (1920 х 1080), TN+film, Intel Pentium N4200 (up to 2.5 ГГц), 4 ГБ, 1 ТБ, Intel HD, No ODD, Bluetooth, Wi-Fi, Gigabit Ethernet, DOS, 2 cell, 2.2 кг, Silver 12 мес. 80TT00A1RA Ноутбук Lenovo IdeaPad 310-15 (80TT00A1RA) 15.6', HD (1366 х 768), TN+film, Intel Pentium N4200 (up to 2.5 ГГц), 4 ГБ, 1 ТБ, Intel HD, No ODD, Bluetooth, Wi-Fi, Gigabit Ethernet, DOS, 2 cell, 2.2 кг, Black 12 мес. 80TT00A2RA Ноутбук Lenovo IdeaPad 310-15 (80TT00A2RA) 15.6', HD (1366 х 768), TN+film, Intel Pentium N4200 (up to 2.5 ГГц), 4 ГБ, 1 ТБ, Intel HD, No ODD, Bluetooth, Wi-Fi, Gigabit Ethernet, DOS, 2 cell, 2.2 кг, Silver 12 мес. 80TT00A3RA Ноутбук Lenovo IdeaPad 310-15 (80TT00A3RA) 15.6', HD (1366 х 768), TN+film, Intel Pentium N4200 (up to 2.5 ГГц), 4 ГБ, отсутствует, 128 ГБ, Intel HD, No ODD, Bluetooth, Wi-Fi, Gigabit Ethernet, DOS, 2 cell, 2.2 кг, Black 12 мес. 80TT00A4RA Ноутбук Lenovo IdeaPad 310-15 (80TT00A4RA) 15.6', HD (1366 х 768), TN+film, Intel Pentium N4200 (up to 2.5 ГГц), 4 ГБ, отсутствует, 128 ГБ, Intel HD, No ODD, Bluetooth, Wi-Fi, Gigabit Ethernet, DOS, 2 cell, 2.2 кг, Silver 12 мес. 80TT00B0RA Ноутбук Lenovo IdeaPad 310-15 (80TT00B0RA) 15.6', HD (1366 х 768), TN+film, Intel Pentium N4200 (up to 2.5 ГГц), 4 ГБ, 500 ГБ, Intel HD, DVD±RW, Bluetooth, Wi-Fi, Gigabit Ethernet, DOS, 2 cell, 2.2 кг, Black 12 мес. 80WG0013UA Ноутбук Lenovo IdeaPad 110S (80WG0013UA) 11.6', HD (1366 х 768), Intel Pentium N3710 (1.6 - 2.56 ГГц), 4 ГБ, отсутствует, 128 ГБ, Intel HD, No ODD, Bluetooth, Wi-Fi, Windows 10 Home 64bit, 2 cell, 1.1 кг, Blue 12 мес. 80WG0014UA Ноутбук Lenovo IdeaPad 110S (80WG0014UA) 11.6', HD (1366 х 768), Intel Pentium N3710 (1.6 - 2.56 ГГц), 4 ГБ, отсутствует, 128 ГБ, Intel HD, No ODD, Bluetooth, Wi-Fi, Windows 10 Home 64bit, 2 cell, 1.1 кг, Red 12 мес. 80WG0015UA Ноутбук Lenovo IdeaPad 110S (80WG0015UA) 11.6', HD (1366 х 768), Intel Pentium N3710 (1.6 - 2.56 ГГц), 4 ГБ, отсутствует, 128 ГБ, Intel HD, No ODD, Bluetooth, Wi-Fi, Windows 10 Home 64bit, 2 cell, 1.1 кг, Silver 12 мес. 80WG0016UA Ноутбук Lenovo IdeaPad 110S (80WG0016UA) 11.6', HD (1366 х 768), Intel Pentium N3710 (1.6 - 2.56 ГГц), 4 ГБ, отсутствует, 128 ГБ, Intel HD, No ODD, Bluetooth, Wi-Fi, Windows 10 Home 64bit, 2 cell, 1.1 кг, White 12 мес. 80XL03G7RA Ноутбук Lenovo IdeaPad 320-15 (80XL03G7RA) 15.6', FullHD (1920 х 1080), TN+film, Intel Pentium 4415U (2.3 ГГц), 8 ГБ, отсутствует, 256 ГБ, NVIDIA GeForce 920MX, 2 ГБ, No ODD, Bluetooth, Wi-Fi, LAN (RJ-45), DOS, 2 cell, 2.2 кг, Black 12 мес. 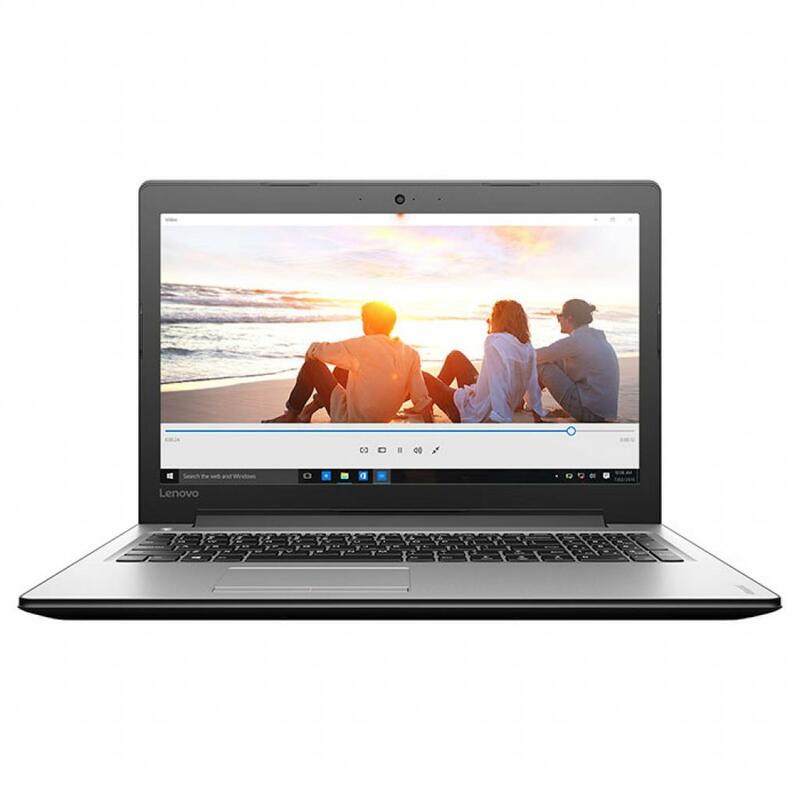 80XL03G8RA Ноутбук Lenovo IdeaPad 320-15 (80XL03G8RA) 15.6', FullHD (1920 х 1080), TN+film, Intel Pentium 4415U (2.3 ГГц), 8 ГБ, отсутствует, 256 ГБ, NVIDIA GeForce 920MX, 2 ГБ, No ODD, Bluetooth, Wi-Fi, LAN (RJ-45), DOS, 2 cell, 2.2 кг, Blue 12 мес. 80XL03GARA Ноутбук Lenovo IdeaPad 320-15 (80XL03GARA) 15.6', FullHD (1920 х 1080), TN+film, Intel Pentium 4415U (2.3 ГГц), 8 ГБ, отсутствует, 256 ГБ, NVIDIA GeForce GT 940MX, 2 ГБ, No ODD, Bluetooth, Wi-Fi, LAN (RJ-45), DOS, 2 cell, 2.2 кг, Blue 12 мес. 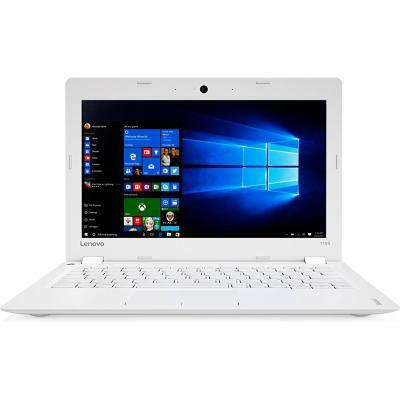 80XL03GHRA Ноутбук Lenovo IdeaPad 320-15 (80XL03GHRA) 15.6', FullHD (1920 х 1080), TN+film, Intel Pentium 4415U (2.3 ГГц), 4 ГБ, отсутствует, 256 ГБ, NVIDIA GeForce 920MX, 2 ГБ, No ODD, Bluetooth, Wi-Fi, LAN (RJ-45), DOS, 2 cell, 2.2 кг, Red 12 мес. 80XL03GJRA Ноутбук Lenovo IdeaPad 320-15 (80XL03GJRA) 15.6', FullHD (1920 х 1080), TN+film, Intel Pentium 4415U (2.3 ГГц), 4 ГБ, отсутствует, 256 ГБ, NVIDIA GeForce 920MX, 2 ГБ, No ODD, Bluetooth, Wi-Fi, LAN (RJ-45), DOS, 2 cell, 2.2 кг, Grey 12 мес. 80XL03GKRA Ноутбук Lenovo IdeaPad 320-15 (80XL03GKRA) 15.6', FullHD (1920 х 1080), TN+film, Intel Pentium 4415U (2.3 ГГц), 8 ГБ, отсутствует, 256 ГБ, NVIDIA GeForce 920MX, 2 ГБ, No ODD, Bluetooth, Wi-Fi, LAN (RJ-45), DOS, 2 cell, 2.2 кг, Grey 12 мес. 80XL03GNRA Ноутбук Lenovo IdeaPad 320-15 (80XL03GNRA) 15.6', FullHD (1920 х 1080), TN+film, Intel Pentium 4415U (2.3 ГГц), 8 ГБ, отсутствует, 256 ГБ, NVIDIA GeForce GT 940MX, 2 ГБ, No ODD, Bluetooth, Wi-Fi, LAN (RJ-45), DOS, 2 cell, 2.2 кг, Grey 12 мес. 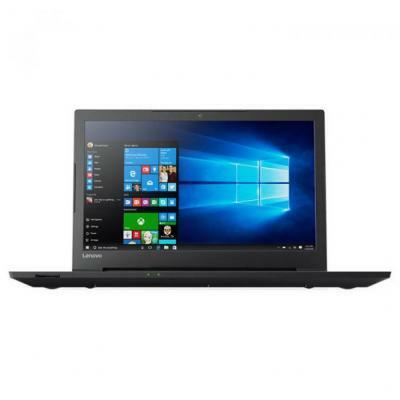 80XL03GURA Ноутбук Lenovo IdeaPad 320-15 (80XL03GURA) 15.6', FullHD (1920 х 1080), TN+film, Intel Pentium 4415U (2.3 ГГц), 4 ГБ, отсутствует, 256 ГБ, NVIDIA GeForce 920MX, 2 ГБ, DUMMY ODD, Bluetooth, Wi-Fi, LAN (RJ-45), DOS, 2 cell, 2.2 кг, Blue 12 мес. 80XL03H3RA Ноутбук Lenovo IdeaPad 320-15 (80XL03H3RA) 15.6', FullHD (1920 х 1080), TN+film, Intel Pentium 4415U (2.3 ГГц), 4 ГБ, отсутствует, 256 ГБ, NVIDIA GeForce 920MX, 2 ГБ, DUMMY ODD, Bluetooth, Wi-Fi, LAN (RJ-45), DOS, 2 cell, 2.2 кг, Purple 12 мес. 80XL03HNRA Ноутбук Lenovo IdeaPad 320-15 (80XL03HNRA) 15.6', FullHD (1920 х 1080), TN+film, Intel Pentium 4415U (2.3 ГГц), 8 ГБ, отсутствует, 256 ГБ, NVIDIA GeForce 920MX, 2 ГБ, No ODD, Bluetooth, Wi-Fi, LAN (RJ-45), DOS, 2 cell, 2.2 кг, White 12 мес. 80XL03HPRA Ноутбук Lenovo IdeaPad 320-15 (80XL03HPRA) 15.6', FullHD (1920 х 1080), TN+film, Intel Pentium 4415U (2.3 ГГц), 8 ГБ, отсутствует, 256 ГБ, NVIDIA GeForce 920MX, 2 ГБ, No ODD, Bluetooth, Wi-Fi, LAN (RJ-45), DOS, 2 cell, 2.1 кг, Red 12 мес. 80XL03HRRA Ноутбук Lenovo IdeaPad 320-15 (80XL03HRRA) 15.6', FullHD (1920 х 1080), TN+film, Intel Pentium 4415U (2.3 ГГц), 8 ГБ, отсутствует, 256 ГБ, NVIDIA GeForce GT 940MX, 2 ГБ, DUMMY ODD, Bluetooth, Wi-Fi, LAN (RJ-45), DOS, 2 cell, 2.2 кг, Red 12 мес. 80XL03HSRA Ноутбук Lenovo IdeaPad 320-15 (80XL03HSRA) 15.6', FullHD (1920 х 1080), TN+film, Intel Pentium 4415U (2.3 ГГц), 8 ГБ, отсутствует, 256 ГБ, NVIDIA GeForce GT 940MX, 2 ГБ, DUMMY ODD, Bluetooth, Wi-Fi, LAN (RJ-45), DOS, 2 cell, 2.2 кг, Purple 12 мес. 80XL0416RA Ноутбук Lenovo IdeaPad 320-15 (80XL0416RA) 15.6', HD (1366 х 768), TN+film, Intel Pentium 4415U (2.3 ГГц), 8 ГБ, 1 ТБ, NVIDIA GeForce 920MX, 2 ГБ, No ODD, Bluetooth, Wi-Fi, LAN (RJ-45), DOS, 2 cell, 2.2 кг, Black 12 мес. 80XL0417RA Ноутбук Lenovo IdeaPad 320-15 (80XL0417RA) 15.6', HD (1366 х 768), TN+film, Intel Pentium 4415U (2.3 ГГц), 8 ГБ, 1 ТБ, NVIDIA GeForce 920MX, 2 ГБ, No ODD, Bluetooth, Wi-Fi, LAN (RJ-45), DOS, 2 cell, 2.2 кг, Grey 12 мес. 80XL0418RA Ноутбук Lenovo IdeaPad 320-15 (80XL0418RA) 15.6', FullHD (1920 х 1080), TN+film, Intel Pentium 4415U (2.3 ГГц), 8 ГБ, 1 ТБ, NVIDIA GeForce 920MX, 2 ГБ, No ODD, Bluetooth, Wi-Fi, LAN (RJ-45), DOS, 2 cell, 2.2 кг, Black 12 мес. 80XL0419RA Ноутбук Lenovo IdeaPad 320-15 (80XL0419RA) 15.6', FullHD (1920 х 1080), TN+film, Intel Pentium 4415U (2.3 ГГц), 8 ГБ, 1 ТБ, NVIDIA GeForce 920MX, 2 ГБ, No ODD, Bluetooth, Wi-Fi, LAN (RJ-45), DOS, 2 cell, 2.2 кг, Grey 12 мес. 80XM00A1RA Ноутбук Lenovo IdeaPad 320-17 (80XM00A1RA) 17.3', HD+ (1600 x 900), TN+film, Intel Pentium 4415U (2.3 ГГц), 4 ГБ, 500 ГБ, NVIDIA GeForce 920MX, 2 ГБ, No ODD, Bluetooth, Wi-Fi, LAN (RJ-45), DOS, 2 cell, 2.8 кг, Black 12 мес. 80XM00A3RA Ноутбук Lenovo IdeaPad 320-17 (80XM00A3RA) 17.3', HD+ (1600 x 900), TN+film, Intel Pentium 4415U (2.3 ГГц), 4 ГБ, 1 ТБ, NVIDIA GeForce 920MX, 2 ГБ, No ODD, Bluetooth, Wi-Fi, LAN (RJ-45), DOS, 2 cell, 2.8 кг, Black 12 мес. 80XM00A5RA Ноутбук Lenovo IdeaPad 320-17 (80XM00A5RA) 17.3', HD+ (1600 x 900), TN+film, Intel Pentium 4415U (2.3 ГГц), 4 ГБ, 500 ГБ, NVIDIA GeForce 920MX, 2 ГБ, No ODD, Bluetooth, Wi-Fi, LAN (RJ-45), DOS, 2 cell, 2.8 кг, Grey 12 мес. 80XM00KLRA Ноутбук Lenovo IdeaPad 320-17 (80XM00KLRA) 17.3', HD+ (1600 x 900), TN+film, Intel Pentium 4415U (2.3 ГГц), 4 ГБ, 1 ТБ, Intel HD Graphics, DUMMY ODD, Bluetooth, Wi-Fi, LAN (RJ-45), DOS, 2 cell, 2.8 кг, Grey 12 мес. 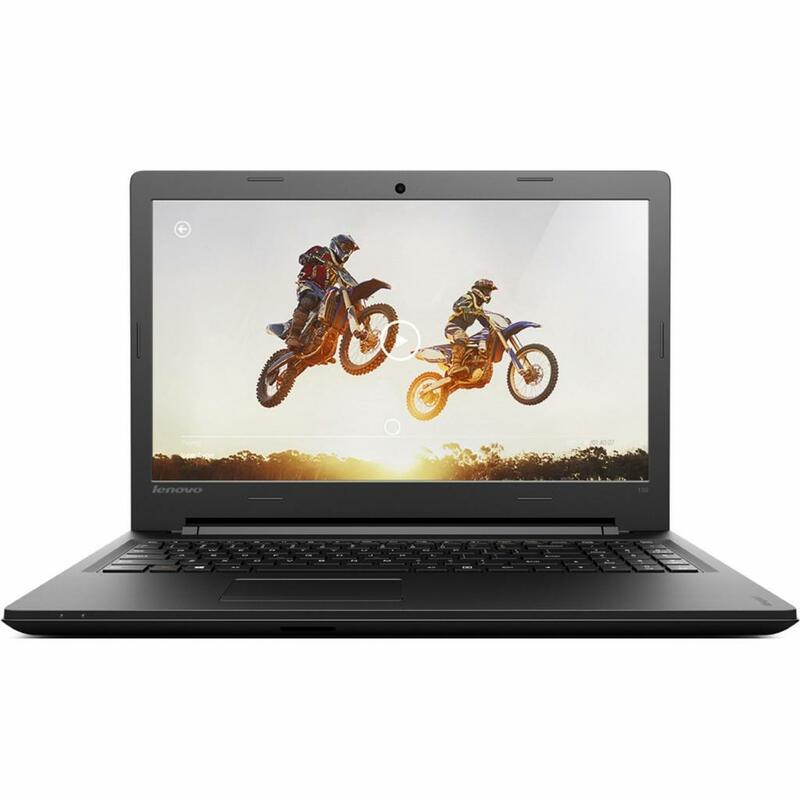 80XR00JYRA Ноутбук Lenovo IdeaPad 320-15 (80XR00JYRA) 15.6', HD (1366 х 768), TN+film, Intel Pentium N4200 (up to 2.5 ГГц), 4 ГБ, 1 ТБ, Intel HD Graphics, No ODD, Bluetooth, Wi-Fi, LAN (RJ-45), DOS, 2 cell, 2.2 кг, Grey 12 мес. 80XR00K0RA Ноутбук Lenovo IdeaPad 320-15 (80XR00K0RA) 15.6', HD (1366 х 768), TN+film, Intel Pentium N4200 (up to 2.5 ГГц), 4 ГБ, 1 ТБ, Intel HD Graphics, No ODD, Bluetooth, Wi-Fi, LAN (RJ-45), DOS, 2 cell, 2.2 кг, Blue 12 мес. 80XR00K1RA Ноутбук Lenovo IdeaPad 320-15 (80XR00K1RA) 15.6', HD (1366 х 768), TN+film, Intel Pentium N4200 (up to 2.5 ГГц), 4 ГБ, 1 ТБ, Intel HD Graphics, No ODD, Bluetooth, Wi-Fi, LAN (RJ-45), DOS, 2 cell, 2.2 кг, White 12 мес. 80XR00TDRA Ноутбук Lenovo IdeaPad 320-15 (80XR00TDRA) 15.6', HD (1366 х 768), TN+film, Intel Pentium N4200 (up to 2.5 ГГц), 4 ГБ, 500 ГБ, Intel HD Graphics, No ODD, Bluetooth, Wi-Fi, LAN (RJ-45), DOS, 2 cell, 2.2 кг, Black 12 мес.